An award-winning, original, investigative series made by the team behind the acclaimed PBS documentary show, FRONTLINE. From the long and deadly arm of 9/11, to a police shooting in West Virginia with a startling twist, to what life is really like for children living in a Kenyan refugee camp, each episode follows a different reporter through an investigation that sometimes is years in the making. The FRONTLINE Dispatch – because some stories are meant to be heard. Produced at FRONTLINE’s headquarters at WGBH in Boston and powered by PRX. This episode was produced in collaboration with WBEZ Chicago. Millions of Americans can’t afford rent and only a quarter of those who need government help get it. What happens to everyone else? For many, it means they live in squalor. But figuring out who’s responsible is harder than you think. In this episode of The FRONTLINE Dispatch, NPR correspondent Laura Sullivan heads to Dallas where the city, low income residents and a prominent landlord sometimes described as a slumlord, become the moving pieces in a century-and-a-half old problem. This episode was done in collaboration with NPR. This episode is a rebroadcast and originally aired on October 12, 2017. Produced by NPR’s Investigation Unit. Part Three of the Living With Murder Series. In December 2017, after serving 30 years of his life sentence, Kempis Songster left Graterford Prison on lifetime parole. A lot has happened since then. He now lives in Philadelphia. He’s working, married and became a father. One year after Reporter/Producer Samantha Broun and Kempis Songster stopped recording their conversations for the Living with Murder series, they return with this series’ update on what Kempis’ life looks like today. This story was produced in collaboration with the public radio website Transom.org. This episode produced in collaboration with Transom.org. This is Part Two of his story. This episode was a collaboration with Transom.org. In this special episode for kids, FRONTLINE follows a day in the life of Muzamil, a 12-year-old Somali boy growing up Kenya’s Dadaab Refugee Camp. Producer Bianca Giaever and Reporter Roopa Gogineni bring him questions from American kids about what it’s like growing up in a refugee camp. Are there dentists? A fire department? What is your dreamland? Muzamil takes us through his daily life, answering questions from American kids along the way. Scott Gaines was a first responder on 9/11. When he retired a couple months later, he thought he’d escaped the aftermath unscathed. This time on The FRONTLINE Dispatch, a story about the lasting impacts of 9/11 – told by his daughter, reporter Amy Gaines. This story was produced by Michelle Mizner and Sophie McKibben. This story was done in collaboration with ProPublica. It was reported by Joe Sexton and produced by Sophie McKibben. You can read an accompanying print piece written by Joe Sexton here. The second season of The FRONTLINE Dispatch launches on November 29th. 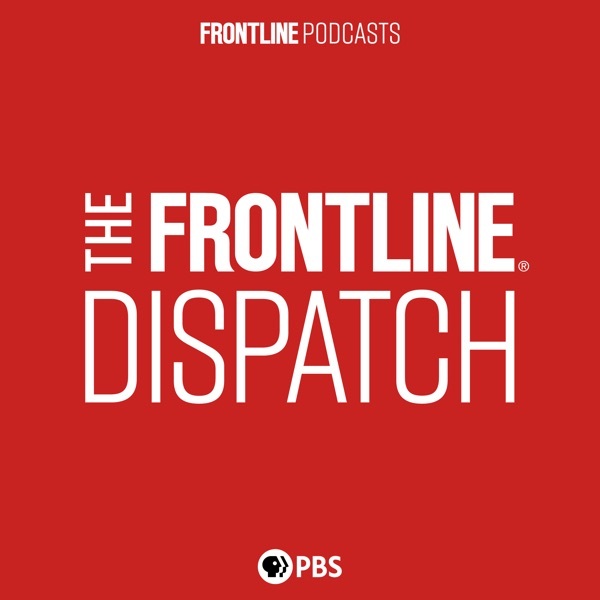 The FRONTLINE Dispatch comes to you from the producers and reporters of the PBS investigative documentary series FRONTLINE. New episodes biweekly. Subscribe now. This piece was produced by Samantha Broun and Jay Allison. It was originally made in 2016 for the public radio website Transom.org. Listen to it here: https://transom.org/2016/a-life-sentence-victims-offenders-justice-and-my-mother/. We are presenting an update to a version that aired later that year on This American Life: https://www.thisamericanlife.org/radio-archives/episode/604/20-years-later. Next on The FRONTLINE Dispatch: the mini-series continues with two more stories about juvenile life without parole from producers Samantha Broun and Jay Allison. This story is from correspondent Martin Smith. Michelle Mizner and Sara Obeidat produced this story originally as a short film. They, along with Sophie McKibben, adapted the film for the podcast. Scott Anger recorded the sound in Yemen. The reporting for this story was done as part of an upcoming FRONTLINE special on the rivalry between Saudi Arabia and Iran. Airing in 2018, the documentary will trace the roots of the Sunni-Shia divide, and explore how a proxy war between the two countries is devastating the Middle East. For more in-depth reporting on the crisis in Yemen – visit pbs.org/frontline. In 2016, a 5.0 magnitude earthquake hit the small town of Cushing, Oklahoma, severely damaging the town. Cushing isn’t the type of place that’s supposed to have such a problem with earthquakes. Until about 2009, they only had one or two a year. But in the last few years, tied to an increased use of wastewater disposal (a by-product of the oil industry) the number of earthquakes has risen dramatically, and now Cushing, along with much of Oklahoma, shakes hundreds of times a year. Cushing is a major hub of American oil — known as “the pipeline crossroads of the world,” the Keystone pipeline and many other major pipelines run beneath it, and above ground, the town stores tens of millions of barrels of oil in its tank farms. Oil is the town’s economic lifeblood, and so the big quake, and the question of who to hold responsible for it, caused real division between neighbors. In this episode of The FRONTLINE Dispatch, reporter Sandy Tolan goes to Cushing to find out how the earthquakes impact a town built on oil. This story was produced by Jamie York and Sophie McKibben. In this episode of the FRONTLINE Dispatch, reporter Anjali Tsui and producer Sophie McKibben go inside a battle playing out over child marriage in America. Anjali Tsui is an Abrams Journalism Fellow through the FRONTLINE/Columbia Journalism School Fellowships. For more on child marriage in America – visit pbs.org/frontlinedispatch. Some stories are meant to be heard. A new narrative podcast from the producers and reporters of the PBS investigative documentary series FRONTLINE. New episodes biweekly. Subscribe now.